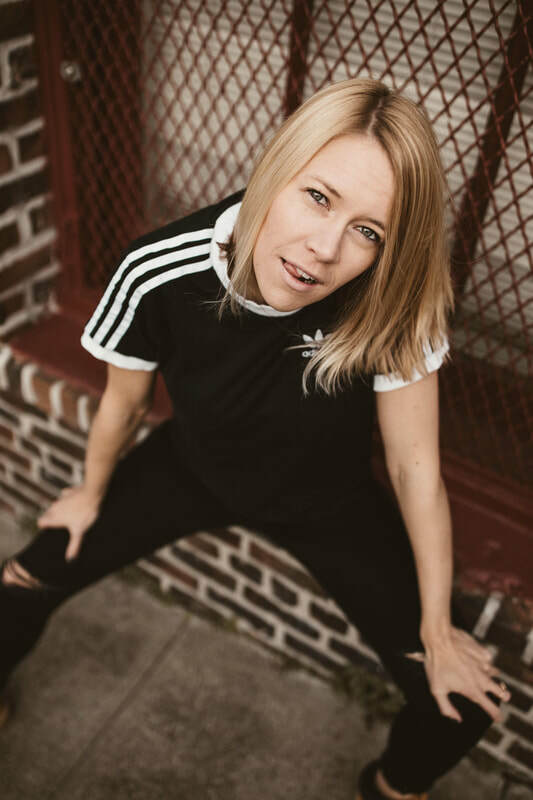 Raised in LA on Sheryl Crow and pop punk, Steph Wells aka SUMif started her musical journey when she moved to New York City to study music business at NYU. After graduation Wells packed up once again and headed to the songwriting mecca of Nashville to try her hand there. 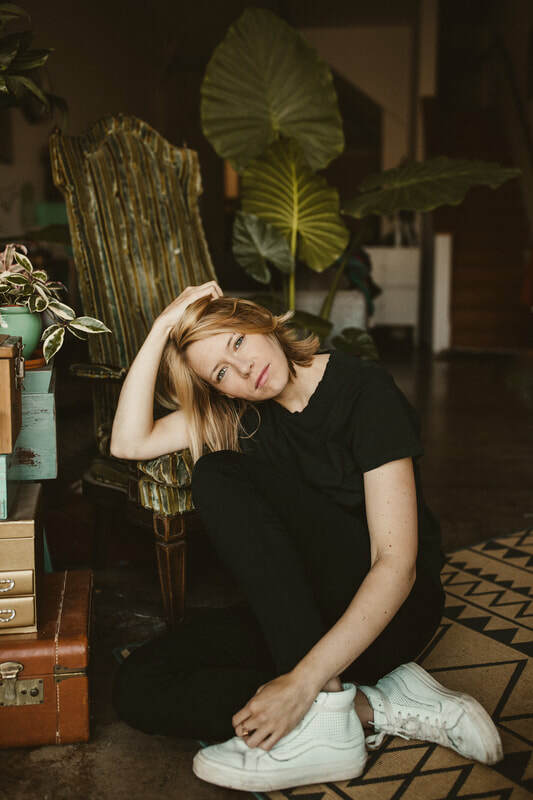 Growing tired with the singer/songwriter life, Wells traded in her acoustic guitar for midi controllers and headed out to San Francisco. 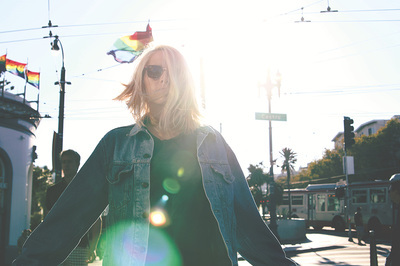 In San Francisco, electro-pop outfit SUMif was created. 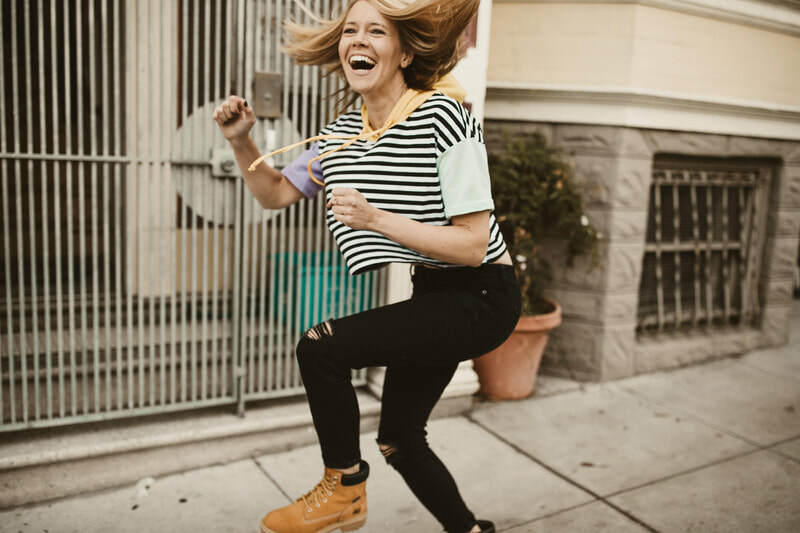 Quickly SUMif's releases were added to numerous Spotify playlists and praised by key tastemakers such as Billboard, NYLON, Indie Shuffle, and Atwood Magazine. 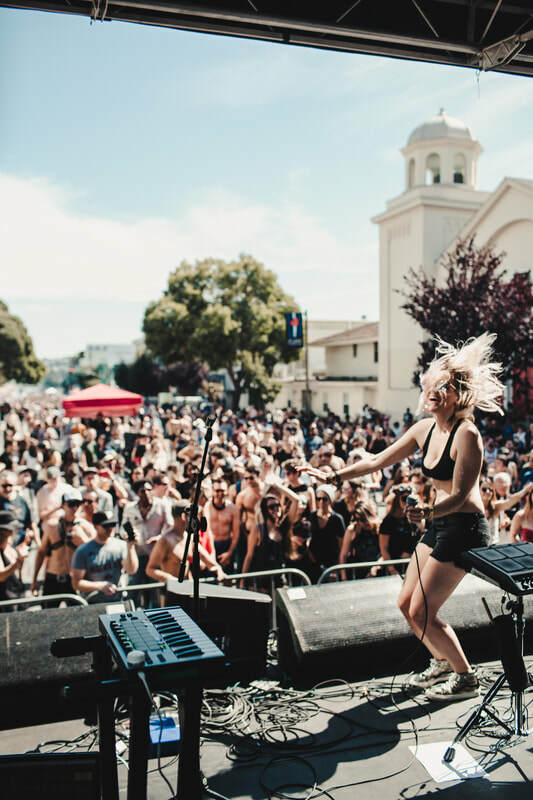 The San Francisco artist's growing buzz has also helped her lock in opening slots for indie and electro-pop darlings Vérité, Lauv, Ella Vos, Classixx, and Little Boots, and she has become a staple at Popscene, San Francisco’s premier indie music party. 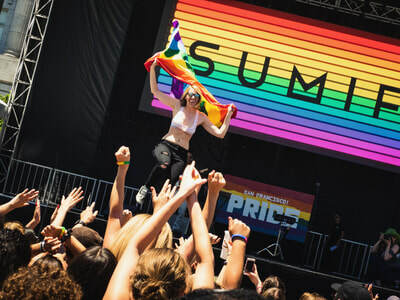 SUMif kicked off 2018 with her debut EP, Pretty Cage and quickly followed with shows in NYC and SF, highlighted by playing on the main stage at San Francisco Pride. Her sophomore EP, Kinda Real, was released in early April, 2019. 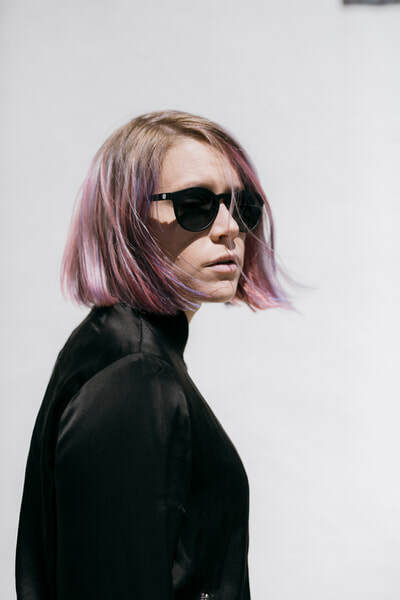 "San Francisco electro-pop starlet SUMif continues to impress with a shimmering disco-pop stunner suited perfectly for your summer romance(s)." "Looking for a new electro-pop jam to help you get through the chilly weather? SUMif’s latest is bursting with synths that’ll make you feel all warm and fuzzy inside." "The music of electro-popster SUMif is a glimmer of hope"
"She is queer AF and fierce AF." "For anyone that knows her or seen her live, SUMif knows how to put on a show. I first caught wind of her when she dropped "Want Your Love" and "Malaga" which I had an unhealthy obsession with and [Say] will be no exception." 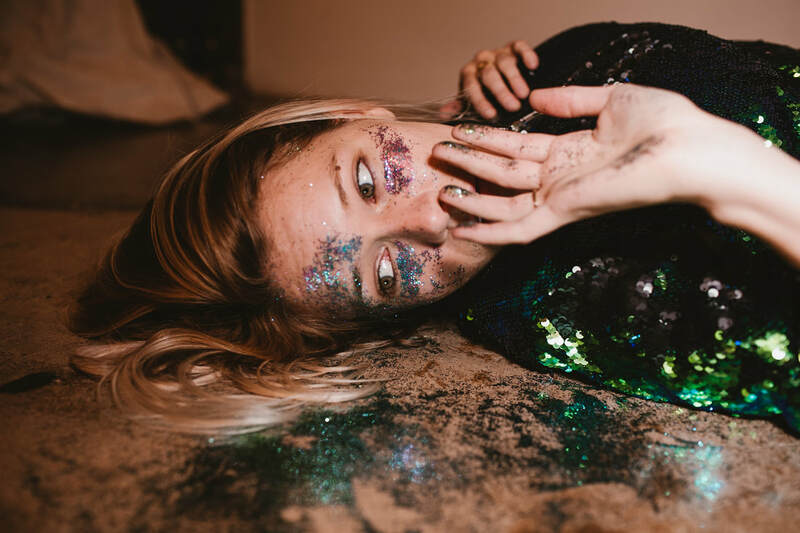 "If you don't know SUMif, get ready to fall in love with her dancey, vibrant sound + electric energy." "Bay Area-based SUMif opened the night with a set of high-octane, frolicking, pop music. Monday night was her second Popscene show in five months and her trademark energy was on full display as she danced, sung and ‘played sax’ across every inch of the stage. She also treated the San Francisco crowd to a new, as-yet-unnamed song. It picks up where "Lay Down" left off, with an infectious, pulsating bass and by the end of the set, it looked as if her playful performance had won her more than a few new fans." "The Production is crisp, the melody is agreeable, and the general ethos hits the right notes for me." "San Francisco-based electro-pop artist Steph Wells, aka SUMif now returns with her latest offering, "Everything", which as the title suggests is everything we could've hoped for from one of this year's most prolific newcomers. " "This track crashes over you like a refreshing wave when it starts, and leaves you feeling invigorated. It's an electropop gem of epic proportions that's for sure. I'm not sure how this name has gone under my radar for as long as it has, but I regret the days that I had not hear the name SUMif." 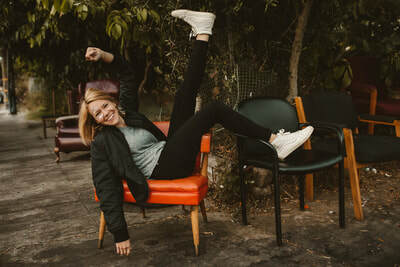 ""Want Your Love" is a fantastic record that has tropical infusions, dreamy guitar, chill synths and an in your face, infectiously catchy chorus." ""Lay Down" is [SUMif's] latest endearing song. 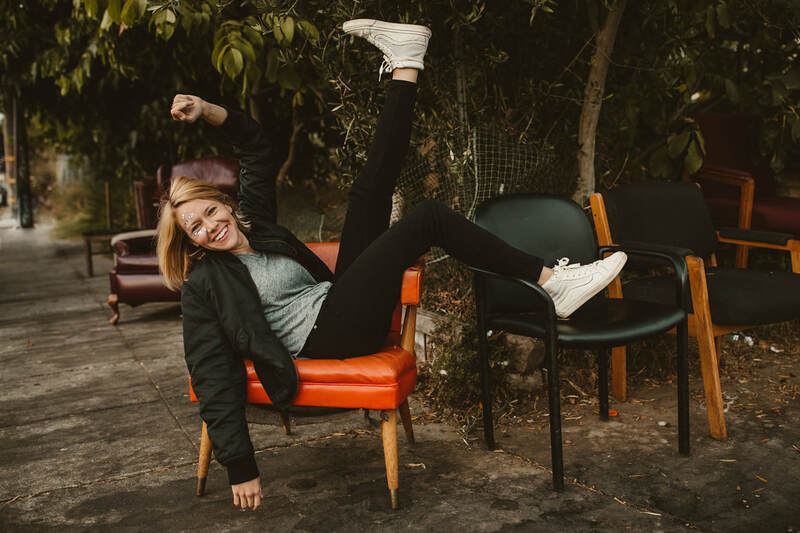 Despite its icy bold synths and vibrant bouncing beat, there’s an unpretentious and intimate warmth to "Lay Down" in its harmonies and dulcet melody." "SUMif gave an energetic performance to a hungry crowd on Wednesday night, September 14, 2016 at the Brick & Mortar Music Hall. 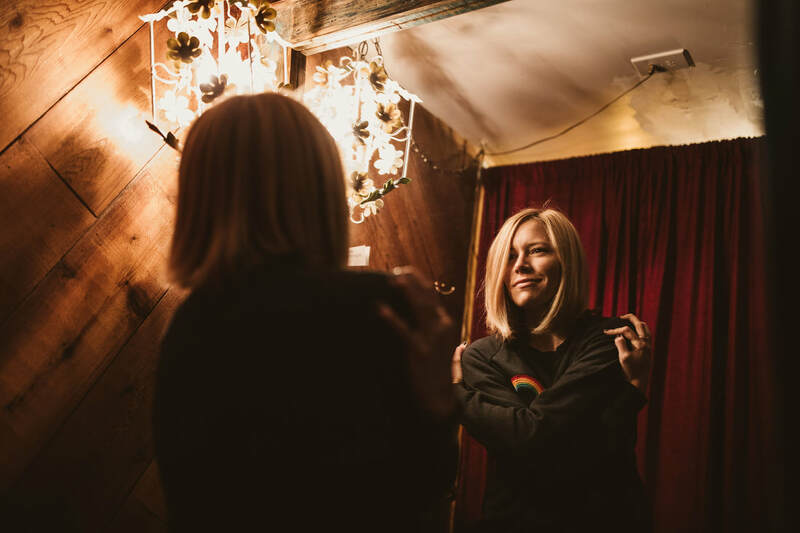 It was Steph Wells' first performance in the town she calls home under the new electro-pop moniker, performing songs that had a nice bite to them. When the performance finished with an enormous roar, the surprise and appreciation on her face was evident. Their song "Lay Down" is making the rounds and its popularity seems like a good sign of things to come for the band." "Even with all of this sublime texture SUMif manages to keep an intimacy that is jam packed with grandeur. Exotic synths, glassy drum tones, and beachy keyboard pads keep our hearts swirling in color. I know we've got DJ Mustard et al. repping San Francisco, but if there's one sound the Bay Area should be known for, it should be SUMif. Don't miss it." "Closing out with the aforementioned “Lay Down,” it was a fun gig, full of joy, and the perfect way to close out another year of Popscene." featured on official Spotify playlists, "Out Now," "New Music Friday Deutschland," "New Music Friday Schweiz," "Fresh Finds: Hiptronix," "Metropolis, "Indie Frescura," "Viral Semenal" & "Viral Hits Canada"
SUMif has opened for Vérité, Lauv, Ella Vos, Classixx, Youngr, RKCB, Body Language, Exes, Kučka, Little Boots, Austra, Young Galaxy, and Michael Blume. Sierra Quitiquit: How Did I Get Here Official Trailer from Sierra Quitiquit on Vimeo.